One of Mexico’s most enticing coastal destinations, Puerto Vallarta stretches along Bahia de Banderas with its sparkling blue waters of the Pacific Ocean. Puerto Vallarta has a lot to offer – Beautiful sandy beaches, lush tropical vegetation, a historic downtown area, gourmet restaurants and shopping and fabulous outdoor activities, including fishing, whale watching and world-class golf. 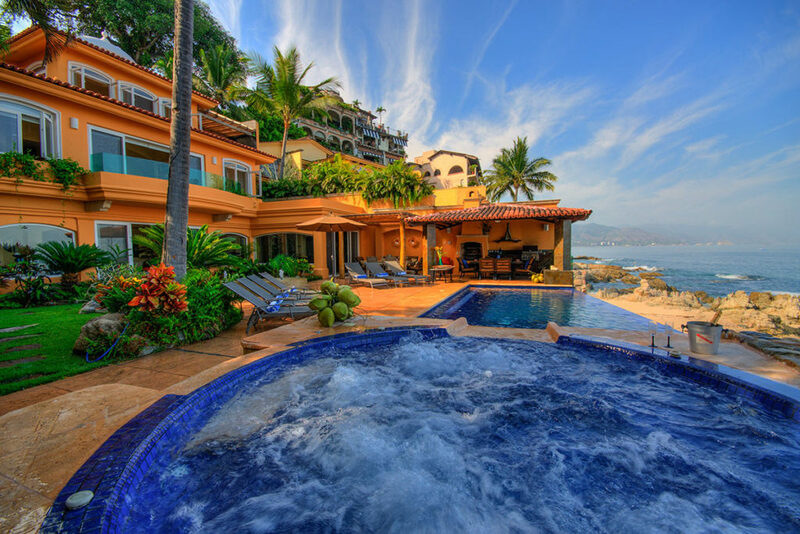 We invite you to discover the most exclusive Puerto Vallarta vacation rentals. 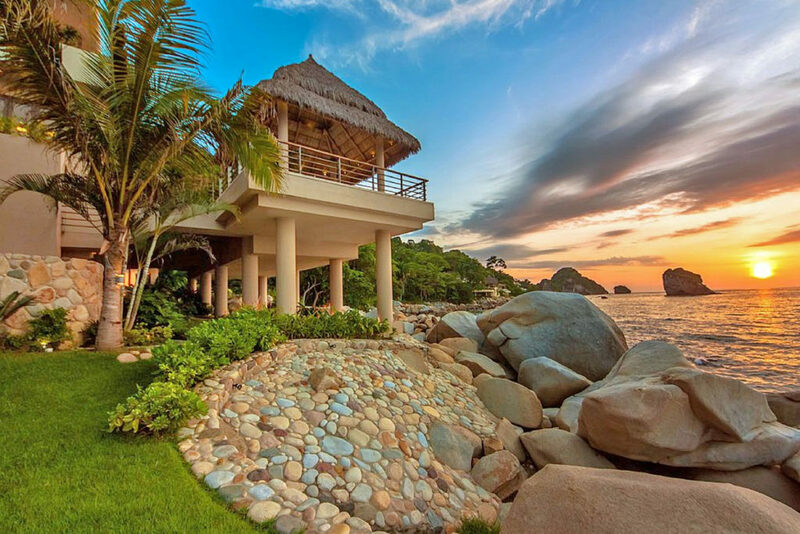 Ten luxury villas featuring stunning architecture, 5 star amenities and world-class service, to guarantee an unforgettable, luxurious, one of a kind experience in beautiful Puerto Vallarta. 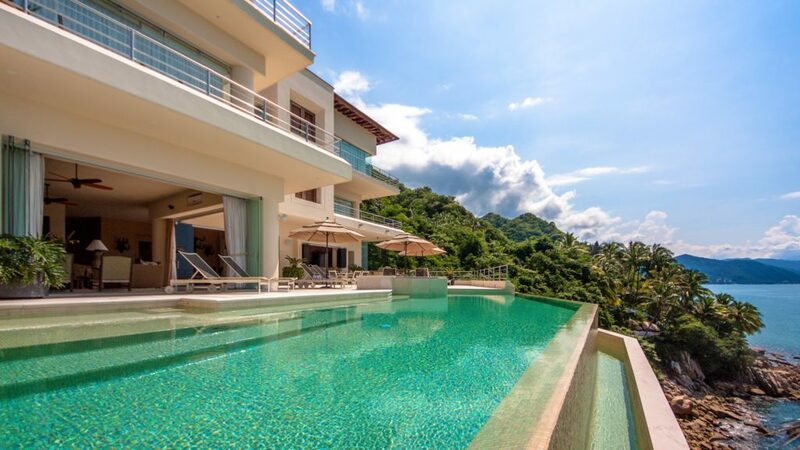 Located in the Mismaloya area, just south of Puerto Vallarta, this massive 10 bedroom, 25,000 square foot villa sits high above Banderas Bay and features stunning ocean views paired with a generous open floor plan. The perfect luxury vacation rental for large groups and families of up to 20 people, Villa Magnifico is also a great venue for weddings and all sorts of events. Guest will enjoy oversized infinity pools, airy lounges and dining areas, and an entertainment and game room. This rental also includes private chef service and a concierge catering to the sophisticated guest’s every need. This luxury villa is the perfect rental for guests’ looking for modern elegance with sleek and stylish finishes and an Asian touch. With a total of seven bedrooms, this villa is big enough to accommodate up to 14 guests. The highlight of the property is the gigantic terrace with an infinity pool. The on-site staff, including a chef, a butler and a caretaker will make sure guest will enjoy a carefree time at this amazing property without having to worry about a thing. The villa is part of the Sierra del Mar complex that offers restaurants, bars and a fitness center. The nearest beach is only a short stroll away. The luxurious Villa Mandarinas is without a doubt one of the most prestigious luxury vacation rentals in the entire area. Located south of Puerto Vallarta, in the state of Jalisco, sitting between the Sierra Nevada Mountains and Pacific Ocean, the villa stretched over six cascading tiers. With over 20,000 square feet and 10 bedrooms, this expansive property offers enough space for up to 22 guests, making it the perfect rental for family reunions, weddings, corporate retreats or yoga workshops. The impressive villa showcases a unique architectural style, lush landscaping, top of the line finishes and state of the art amenities. The interior is beautifully furnished and decorated, with traditional Mexican folk art and custom made furniture. Outside, Villa Mandarinas features two large terraces with spectacular views of the ocean, two large infinity pools with wet bars and Jacuzzis, an open-air playroom and a private dock. The villa’s staff consists of a private chef, waiters, a concierge and a security guard, who will cater to the guest’s every needs. The smallest property on this list, with “only” four bedrooms and enough space for up to eight guests, offers spectacular views of Mismaloya Bay with rolling green hills surrounding sandy beaches and crystal clear waters. The town of Mislamoya and its famous beach are only a short stroll away and even to downtown Puerto Vallarta it’s only a 20-minute car ride. Thanks to its clever and unique design the 4-story villa has a very open and airy feel to it. Natural stone floors contribute to that cool and refreshing feeling. The hillside property is located in the Las Amapas neighborhood, making it the perfect rental for guests looking to be a bit closer to old-town Puerto Vallarta, with its romantic alleys, traditional stores, countless restaurants and of course the world-famous boardwalk, the Malecon – all within walking distance. Of course the villa also doesn’t fail to amaze with its exquisite architecture and design and its expansive views of the city and Pacific Ocean. Villa Vintana’s six bedrooms sleep up to 12 people. 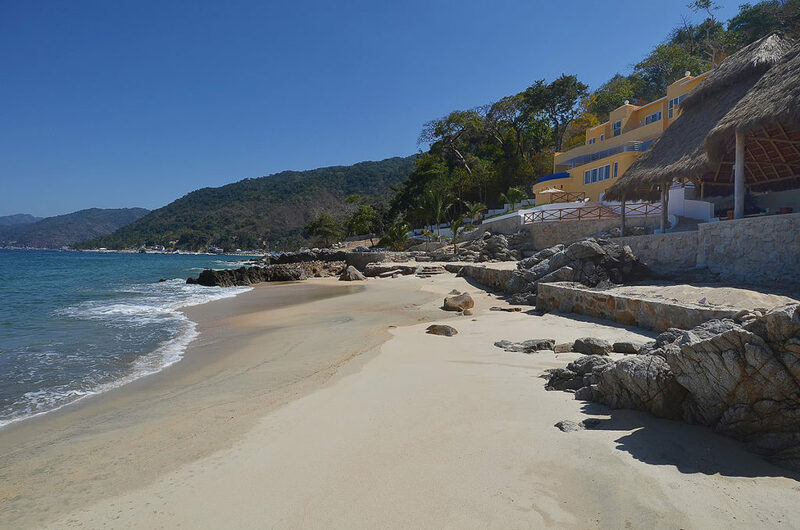 The South Shore is just minutes away from Downtown Puerto Vallarta and is home to some of Puerto Vallarta’s most luxurious oceanfront properties. 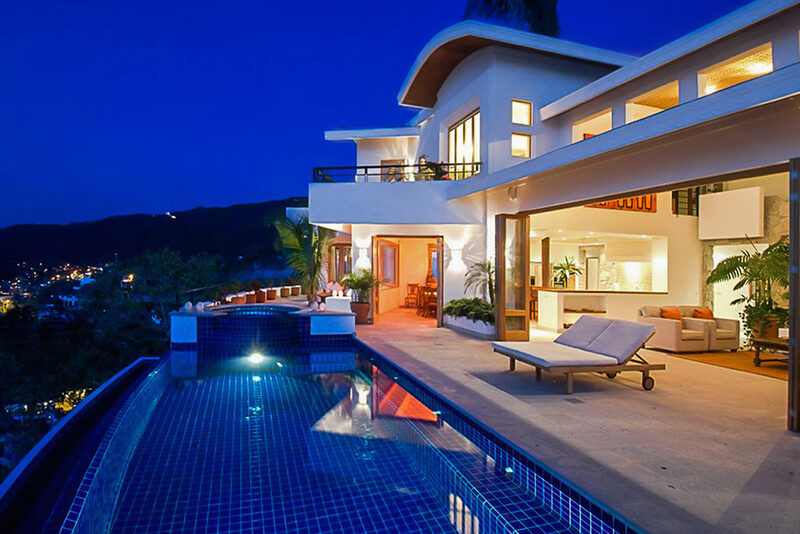 The amazing Villa Balboa is located high above Los Venados beach, producing breathtaking views of the Pacific and the city of Puerto Vallarta. An interesting blend of contemporary and traditional design, Villa Balboa’s interior leaves nothing to be desired, while the exterior showcases innovative water features, infinity pools and immaculate landscaping. Up to 16 guests can enjoy this luxurious eight-bedroom vacation rental, with private chef and concierge service. Villa Bahia also lies on the South Shore of Puerto Vallarta, just steps away from the famous beaches of Concha Chinas and Amapas. From the expansive terraces and lounges and from the infinity pool, guests will enjoy stunning views of Banderas Bay and with a little bit of luck, they might be able to spot some humpback whales, known to populate the bay, especially during the winter. With 5 bedrooms on four levels, this luxury vacation rental offers enough space for ten guests. The villa’s interior is a vibrant mix of modern and traditional Mexican elements with high end finishes and tremendous cutting-edge amenities. This luxury beachfront villa is located just steps away from beautiful Concha Chinas Beach, a eight-bedroom villa big enough for up to 16 guests. Downtown Puerto Vallarta with its Malecon Boardwalk, the busy shops and gourmet restaurants is just a 15-minute walk -along the beach- away. The villa showcases a very unique, almost quirky architectural style, combining traditional Mexican elements with design from the 40s and 50s and a little bit of Tuscan vacation cottage style, resulting in an unusual mix one has to experience to believe it! Yet, another ideal vacation rental for avid beach-goers, right on sandy Concha Chinas Beach, famous for it’s unique rock formations and rich and colorful marine life. 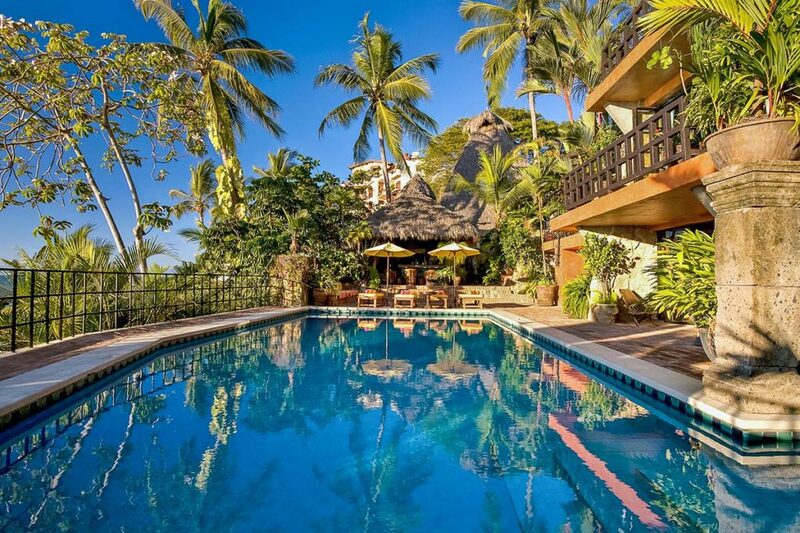 This villa is located inside a secure enclave with only three other properties, just half a mile away from Los Muertos Beach and downtown Puerto Vallarta. With six bedrooms this luxurious domicile sleeps up to 12 people. All bedrooms boast stunning ocean views and are exquisitely furnished with incredible attention to detail. Last but not least: If a villa right on the beach won’t do, how about a villa with a private beach? 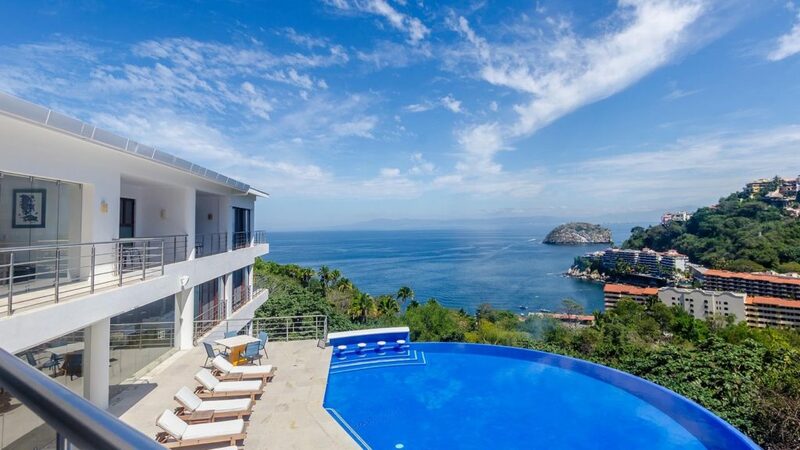 Villa Playsola sits on the far end of Las Animas Beach and can only be reached by water taxi. 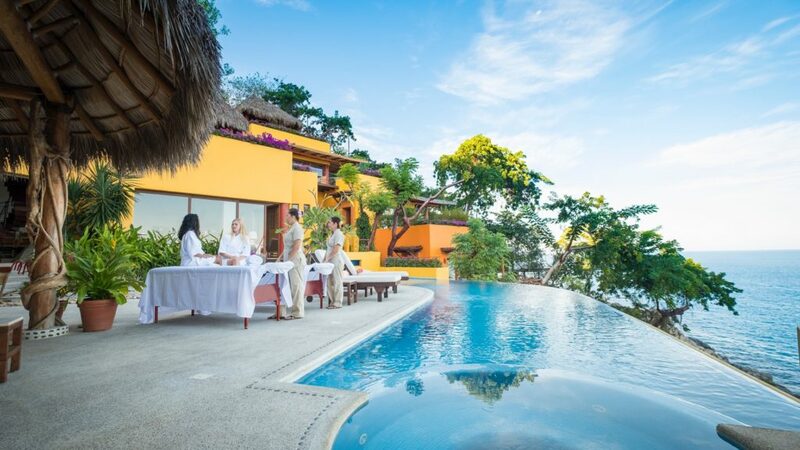 While guest will feel like on a private island, with a private chef and staff of course, they’re still close enough to downtown Puerto Vallarta and all it has to offer to its visitors. This unique property sleeps up to ten people in 5 bedrooms and offers more than 9,000 square feet of living space, an infinity pool, a palapa bar and grill and truly unparalleled sports facilities: Active and competitive guests will enjoy a state of the art gym, a lighted tennis court, a basketball court and a beach volleyball court. 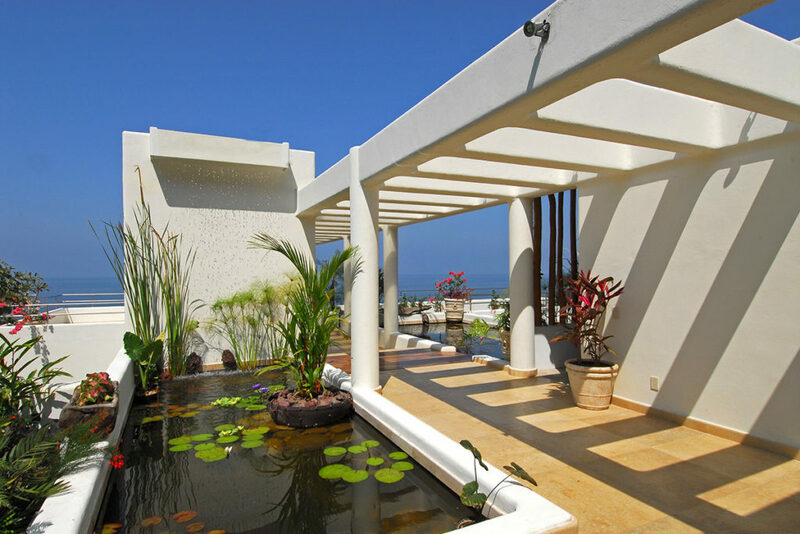 These are just ten of the many magnificent vacation rentals Puerto Vallarta has to offer. With hundreds of unique and luxurious option to choose from, there’s something for everyone! 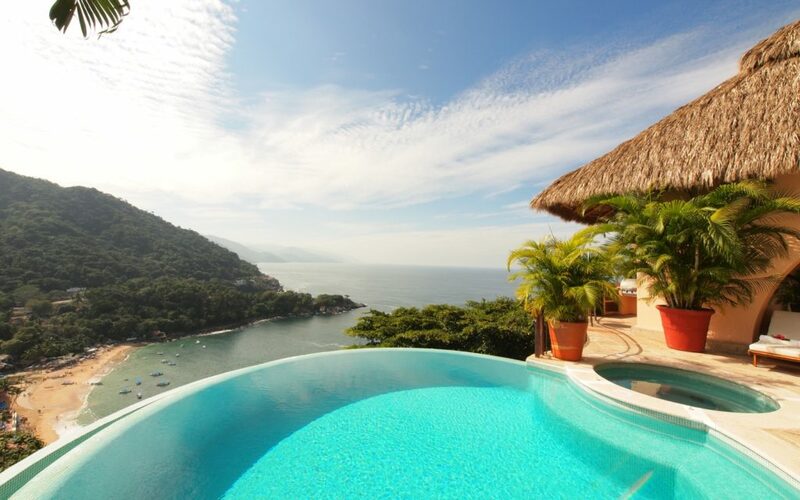 For more information about the featured villas and other Puerto Vallarta villa rentals, please contact your local villa experts at Villa Experience. How Does One Find The Best Finance Role That Suits Best?